If you would like to learn about our trench systems and other products, we would be glad to visit you for a Lunch & Learn session. We will bring in lunch, or breakfast if you prefer, and give you a presentation tailored to your needs. We can do this for as many attendees as you would like all free of charge. For some companies, this may count as a professional development credit. 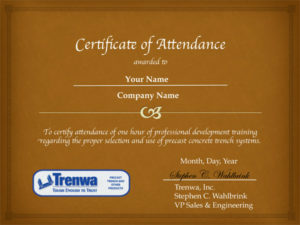 Many companies recommend Lunch & Learn sessions as a good way to improve communications while expanding their knowledge. 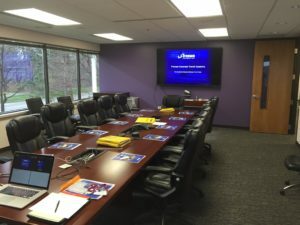 Employees get to connect, have a free lunch, learn something and have a little fun. It benefits the company and the employees at the same time. To learn more or schedule a Lunch & Learn, please fill out the form below. Our VP of Business Development, Steve Wahlbrink, will get back with you as soon as possible.